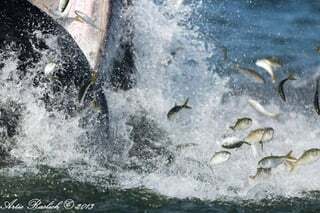 Blogs > Ecology > Does Atlantic menhaden fishery deserve ‘sustainable’ label? Not so fast. Menhaden, or ‘bunker’ – food for whales and filters for algae – must be well protected. Riverkeeper has joined an effort to prevent Omega Protein’s bid for a Marine Stewardship Council label on seafood products and support a state bill limiting the use of purse seine nets. Thanks to public support, the New York Legislature just passed the bill – a great win for the fish. Industrial fishing is threatening to further decimate a precious, all-important species for the Hudson River and the Atlantic while trying to label itself “sustainable.” Don’t buy it. A company called Omega Protein is driving the effort to win the Marine Stewardship Council’s sustainability label for the Atlantic menhaden fishery. Riverkeeper and our allies are trying to prevent this, given the vital role of the species. Omega harvests vast amounts of Atlantic menhaden, known locally as “bunker,” and grinds them into fish meal and fish oil for various products. Omega controls most of the menhaden fishing off the East Coast of the United States. 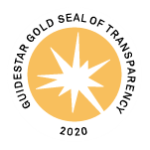 Riverkeeper submitted comments to SAI Global, which advises the Marine Stewardship Council on the sustainability certification. (SAI has recommended the certification, but held a comment period before issuing a final decision.) Read our entire comment letter here. Menhaden have been called “the most important fish in the sea.” Not only are Menhaden the preferred prey of our striped bass, bluefish, tuna, sharks, whales, and others, they also filter our waters of algae. Riverkeeper vehemently disagrees with any designation that would declare the Atlantic menhaden as sustainably managed. Instead, we are pressing for a reduction in harvests, with better fisheries management that would examine and recognize their role in the entire food web – accounting for prey and their predators – rather than just their individual status as a species. This “ecosystem” approach is years away from implementation. As it stands, industrial scale fishing is mining the Atlantic, stealing these fish from our ecosystem for profit and at great cost to our coastal waters, New York Harbor and Hudson River Estuary. Without reliable data on Atlantic menhaden populations – analyzing its role in the food web – it’s hard to determine what a “sustainable” harvest is. The label should be based on real data, not just a marketing desire to reassure consumers that they’re doing no harm. Until we know more, certifying this fishery as sustainable is premature. It’s like awarding a diploma to a student who hasn’t even enrolled in school. 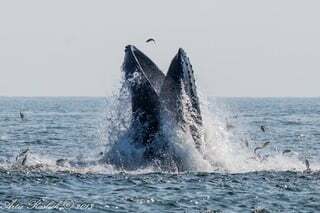 Others fighting to protect menhaden include Gotham Whale, The Nature Conservancy, Pew Charitable Trust, Save the Sound, Seatuck, Audubon, Earthjustice, Menhaden Defenders, recreational fishing captains, and many others. “On Aug. 30, a boat from Omega Protein lowered a net nearly six city blocks long into the water, about 25 miles southeast of the Rockaways, and pulled up about 800,000 pounds of bunker, also known as menhaden. On Sept. 6, Omega returned to the vicinity and hauled out nearly 2 million pounds more. Riverkeeper is concerned about industrial fishing of menhaden because it impacts efforts we are undertaking to protect Hudson River and coastal fishes that are in serious decline. River herring and shad have declined along the East Coast by 95 percent over the last several decades. Striped bass were recently declared to be in decline by Atlantic State Marine Fisheries Commission (ASMFC). The menhaden fishery potentially threatens these species because they may be caught up in the nets as “bycatch,” and no safeguards have been implemented to prevent that. And the menhaden fishery depletes the primary prey of striped bass, one of our iconic species in the Hudson, which in turn causes bass to shift to alternative prey such as herring and shad. To the “reduction industry,” as the industrial menhaden fishery is called, this fish is a commodity to be bought and sold. 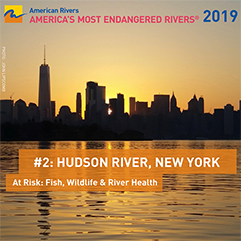 To Riverkeeper, this fish is best left in the sea in high quantities, to perform its vital role as a critical forage species supporting the web of life in the North Atlantic and in the Hudson River. A decision on the labeling certification is expected as soon as mid-February. Please stay involved with Riverkeeper to receive updates and find out how you can take action. Sign up for our email updates and follow us on Facebook, Twitter and Instagram. Explore our website to learn about the Hudson River Estuary’s migratory fish and our new effort to remove dams and restore more habitat for fish.